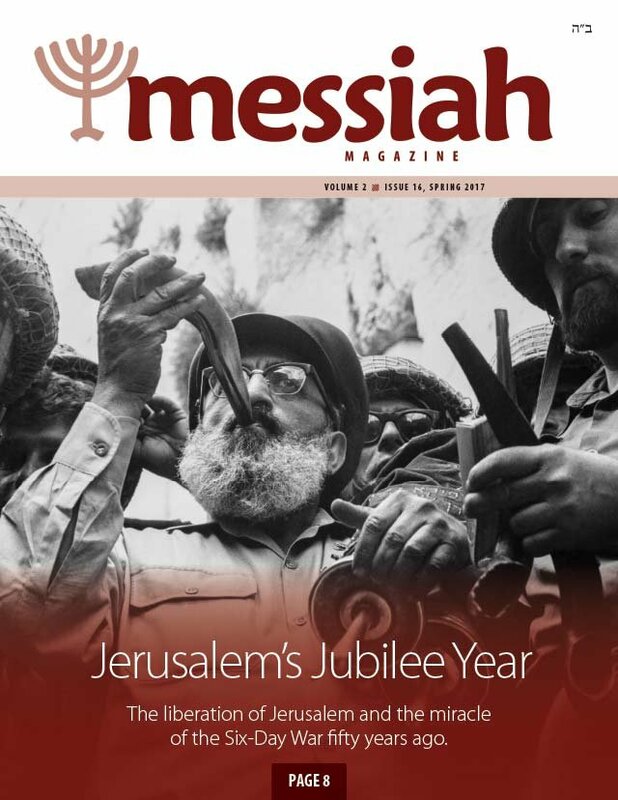 This publication and the entire work of First Fruits of Zion is an educational platform for the respectful dialog of Christianity and Judaism—presenting the intersecting perspective of Messianic Judaism. A new section in the magazine where we do interviews with travelers coming to Israel. Read about the frequent and varied reasons behind the many visits by tourists to the Holy Land. In this new series of articles Jacob Fronczak takes an honest look at replacement theology in the church, and measures to combat it. This series will be helpful as we seek to develop a theology of Israel that goes beyond the patriarchs and beyond the land and beyond the church to encompass the Jewish people in a way that is faithful to the scriptural witness. A new photo-essay section by Boaz Michael provides visual tours of places in Israel that most tourists never have the chance to see. Encounter unique places in Israel and learn about our land, history and culture. In the church today we hear a lot about repentance. After all, it is a central concept in the gospel message. Jesus tells his followers, “Repent, for the kingdom of heaven is at hand.” Did you ever wonder why Jesus didn’t say, “Believe in me, for the kingdom of heaven is at hand”? Instead he tells us to repent. What does it really mean to repent? And why does repentance appear within the gospel message? the Master’s death. 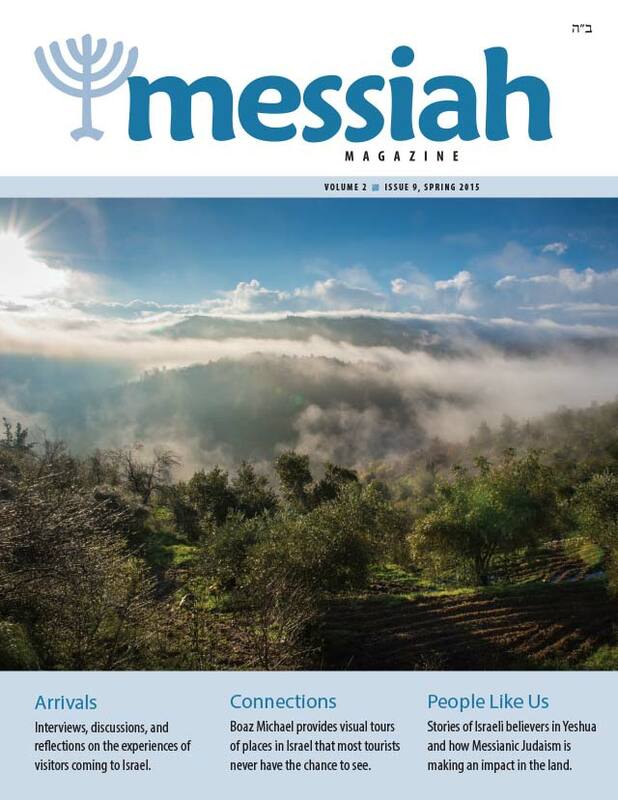 In this article, based on Chronicles of the Messiah, a commentary on the Gospels from a Messianic Jewish perspective, D. Thomas Lancaster comments on the intriguing events surrounding the resurrection of Lazarus and those leading up to the death of Yeshua. A new series by Jeremiah Michael introduces readers to the world of the Sages of Israel and their writings. In this first article he explores the Oral Torah, consisting of Jewish thought, teaching, and commentary on the Torah itself. We may not always agree with their every conclusion or all the personal perspectives we find in these commentaries, but we respect the perseverance and desire of the authors to bring God’s Word to life for students of the Bible. Israel is found among the top ten exporters of flowers onto the world market. This short essay touches upon Israelis' love of flowers, and a deeper meaning it holds for us. Musician and singer Shai Sol recently defended her faith in Yeshua as a Messianic Jew when she auditioned on 'Kochav Haba' (The Next Star), the number one singing competition show in Israel. Read more about what happened, and about Shayna Michael's interview with Shai. Humans are naturally drawn to beautiful things. Anniversaries are celebrated with romantic dinners, and large parties are thrown to mark the significant years. Special events like wedding anniversaries keep us connected to the original moment that the vows were made. In much the same way events in our history were recorded and is anchored by annual observances to reconnect with God. Shavu’ot (Pentecost) is just such a day: the anniversary of the giving of the Torah on Mount Sinai and the beginning of God’s covenant relationship with his people Israel. Learn about the three trips to Jerusalem that Jews took every year. Have fun while you discover treasures from the Bible in stories, solving mysteries and playing word games! Thoughts from a mother about her son in the Israeli army.